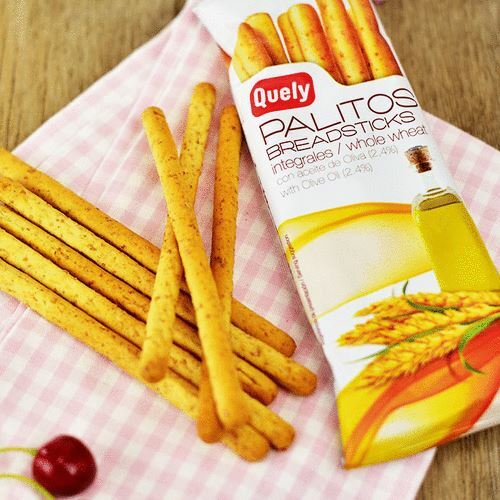 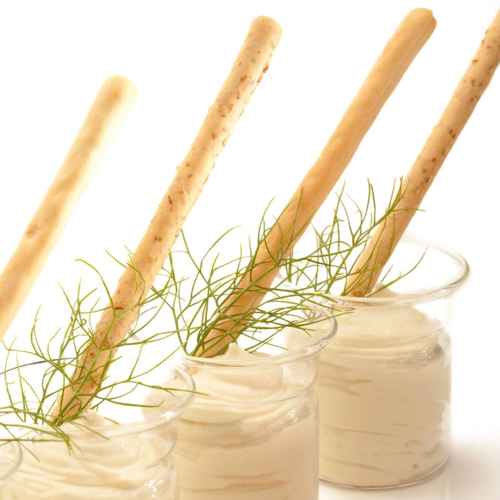 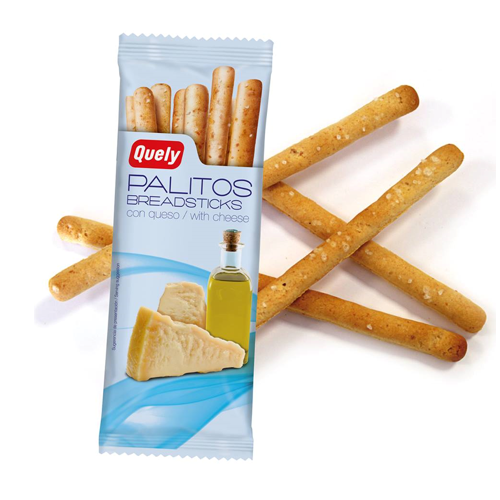 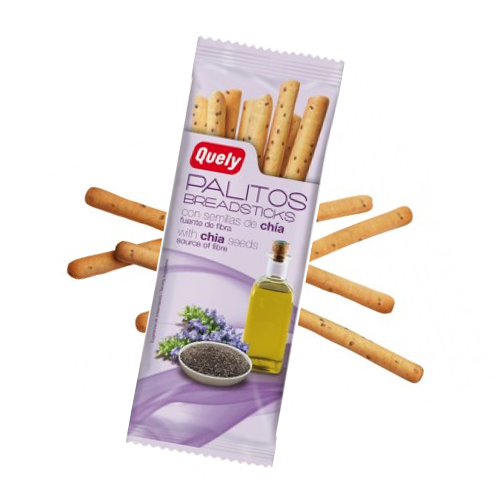 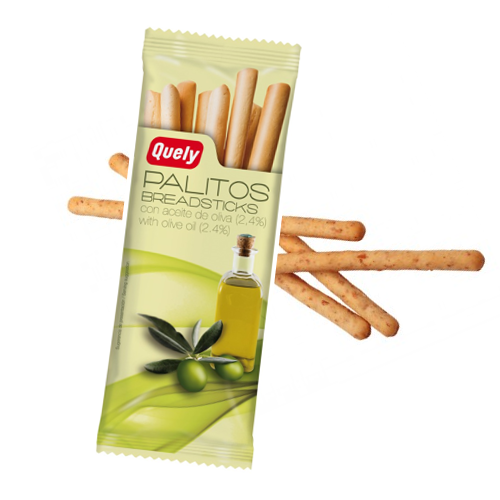 Quely Palitos is a range of 100% natural breadsticks (Grissini) from the Spanish island of Mallorca in the Balearic Islands. 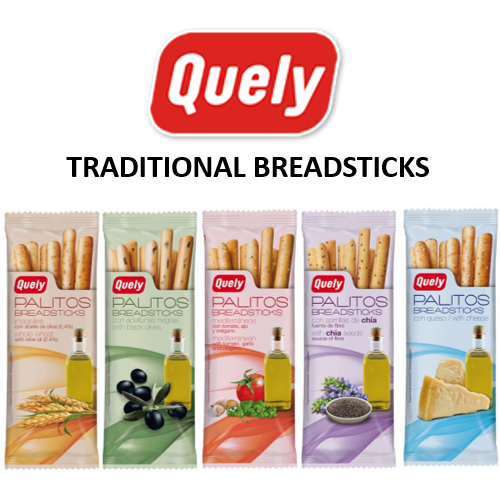 These typically Mediterranean snacks are made of natural ingredients with no flavouring, no preservatives and additives. 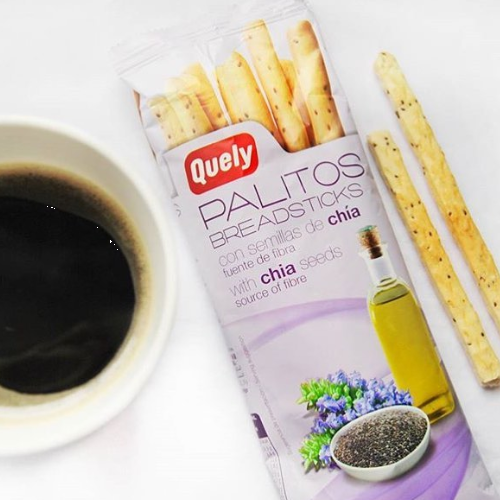 The small sized (50g) packs are perfect for lunch boxes and for accompanying your dips (hummus, tapenade, cream cheese…) at home. 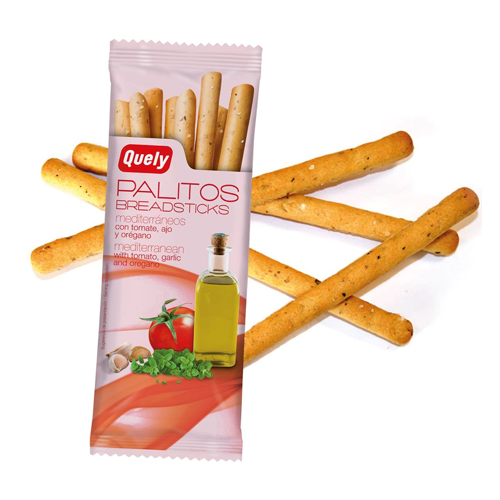 They are baked, not fried, and made with extra virgin Spanish olive oil and are guaranteed with no palm oil and absolutely nothing artificial. 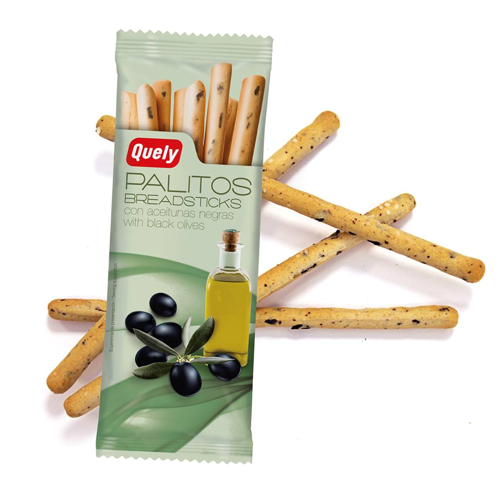 The range consists of 5 flavours: Wholewheat, Black Olives, Cheese, Mediterranean (Garlic, Oregano and tomato) and Chia Seeds.